The Jetscreen Metal Detector employs radio frequency to detect tramp metal of any type. A magnetic field is generated within the sensing head area, which will alter in the presence of a moving conductive material. The control unit monitors the magnetic field and will operate an alarm circuit when a fluctuation is detected. The detector head is built in such a fashion as to concentrate the direction of the detection field and ignore any metal that is not in the area of interest, such as structural bracing etc. The Jaymor Jetscreen Metal Detector is designed as an inherently stable unit in order to prevent spurious alarms due to voltage fluctuations or electrical noise, while still retaining a high degree of sensitivity. An adjustable rotary knob inside the control cabinet is used to set the sensitivity at which the detector will trigger. The controller electronics are housed in a robust powder-coated steel or stainless steel enclosure, with a double-lip lid seal for use in rugged industrial conditions. 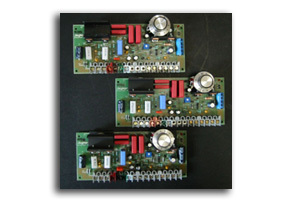 The control unit can be fitted with an optional timing module for auto-reset, dump, reverse or reject functions. The unit also houses an external manual reset button and trip indicator light. A remote reset option can also be accommodated in the controller unit. Standard detector heads are constructed from welded aluminium and then given a powder-coated finish. Welded stainless steel units are available for particularly harsh environments, or where specified such as in the food industry. The sensitivity of the Jaymor Jetscreen Metal Detectors varies slightly with each model type. For all models the sensitivity is relative to the distance from the head to the tramp metal. Sensitivity will lower the further away the piece of metal to be detected is from the detection face. For this reason the enclosed head designs will have a greater sensitivity than the flat style heads as they will detect from all sides around an object, reducing the distance from the sensing face to the metal. The table below shows typical maximum detection distances from the sensing face of a 750mm wide flat detector head, with the conveyor belt traveling over the head at 33m/min. The flat detector head is the least sensitive model in the Jetscreen range, so contoured and enclosed heads will yield better results.